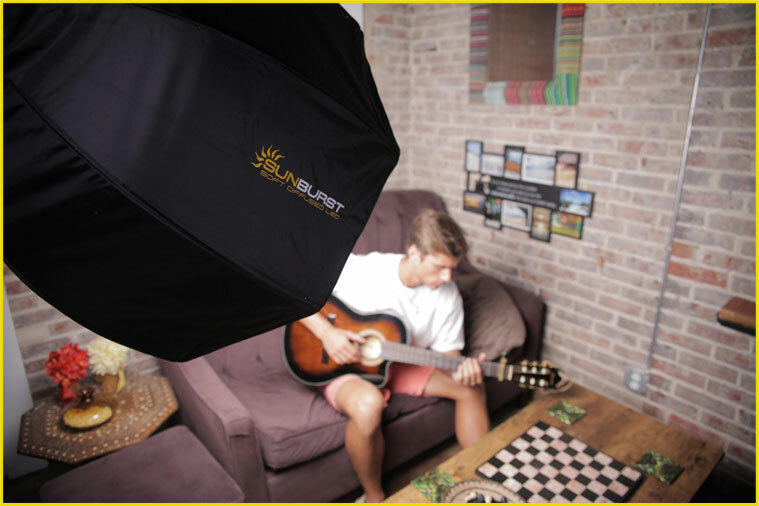 The Digital Juice SunBurst is destined to become your favorite single softbox, lighting kit for your photo and video shoots. 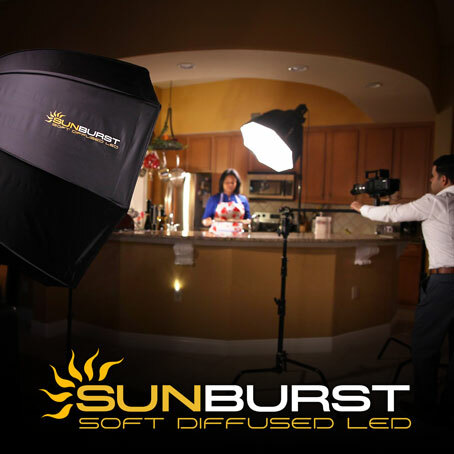 With a whopping 18,000 lumens of pure 5,600 degree light on hand, the 31" diameter SunBurst and it's 288 LED elements can light many intimate scenes all by itself. 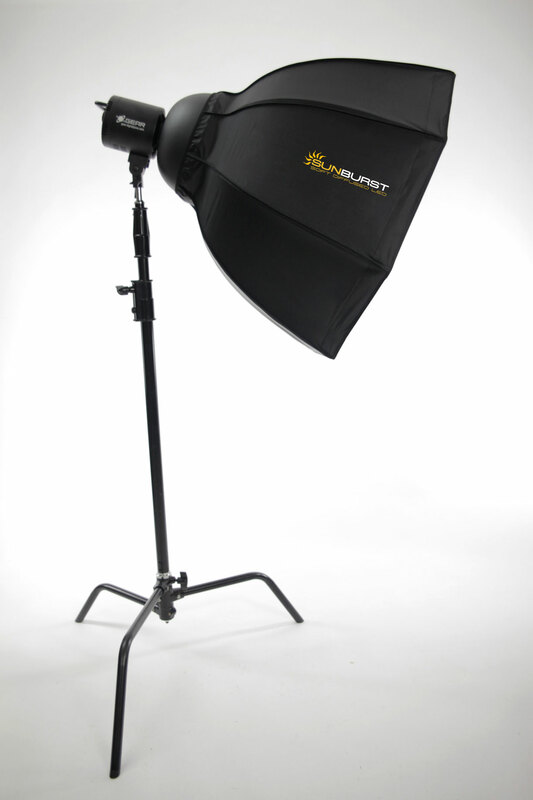 Use this affordable, softbox lighting system with the included .9 stop diffusion for soft, even, shadow-less light. 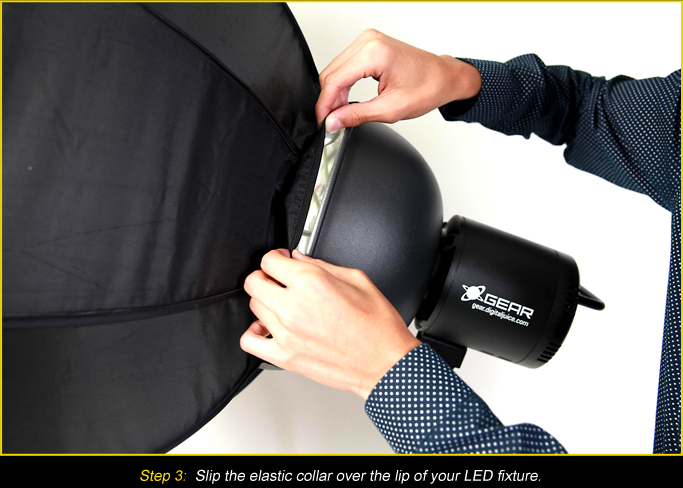 This portable lighting system’s claim-to-fame may be as a soft light source, but it can also serve as a source to illuminate your green screen backdrops as well as a substitute for a sunlight source as well. With a slip on design and no speed rings to deal with, assembly for this umbrella lighting kit is very easy. 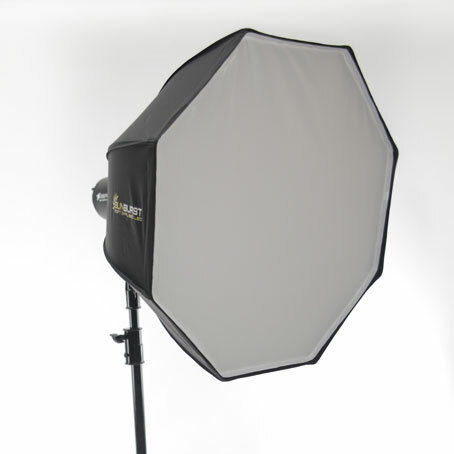 The included silver lined pop-up soft box allows for maximum reflection of your light on your subject. 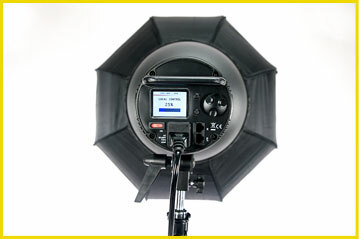 And the tactile rotary dial allows you to find that perfect level of lighting on your subject. 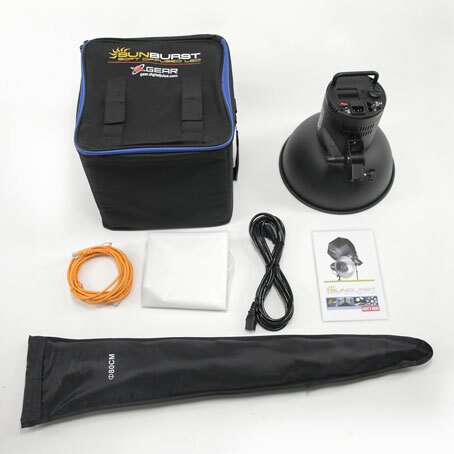 This light kit also allows for remote control over up to 8 lights from a single control board, allowing for easy adjustments over your more complex scenes. 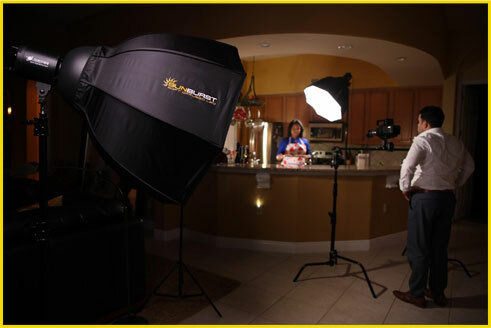 Try a Digital Juice SunBurst lights today. 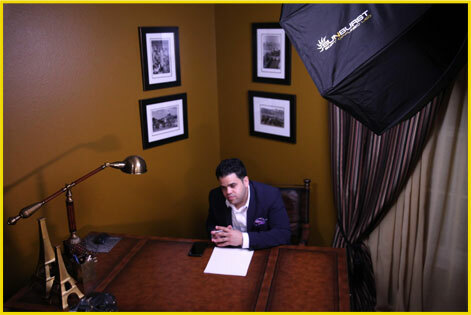 For professional, studio lighting on all your film productions. 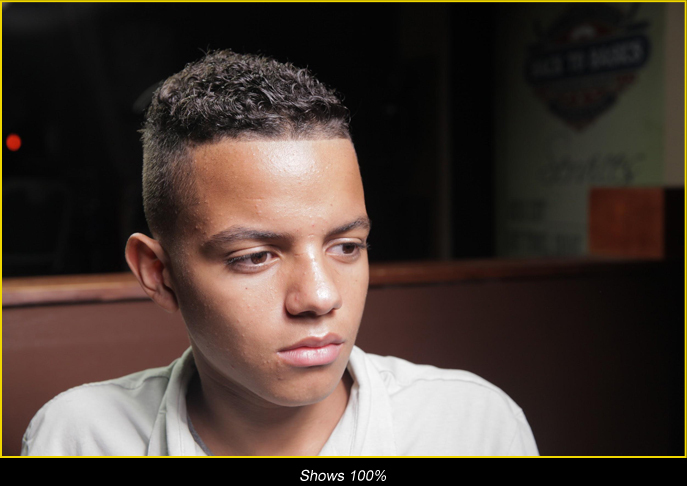 Means that "what you see is what you get." 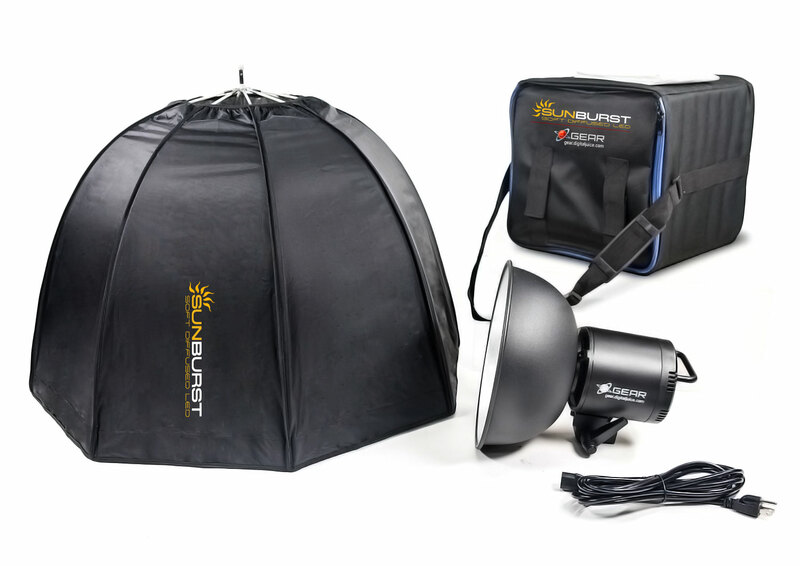 The SunBurst SoftBox Light Kit has everything you need to light any shoot or set from intimate interviews to static object scenes, so it’s perfect for every photographer, videographer or filmmaker. 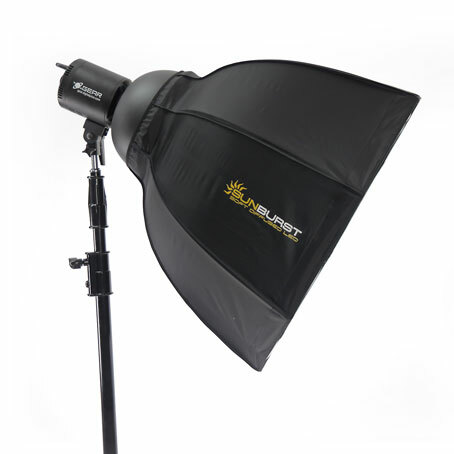 Unlike most other softbox solutions and umbrella lights, this lighting system includes your softbox AND your light at one reasonable price. 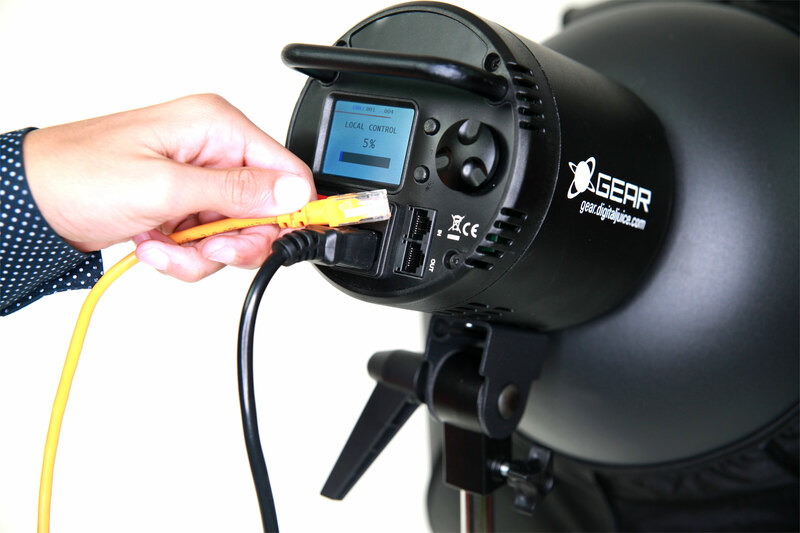 No speed rings or adapter plates needed. 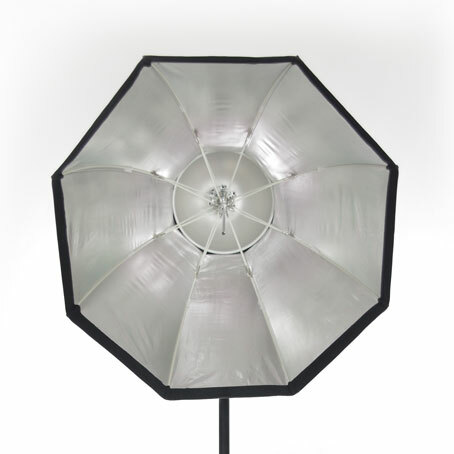 A quick umbrella style box with an elastic collar slips quickly over the light. This means no fussing around with complicated spline based systems that take forever to assemble and tear down. Quick, easy assembly and versatile lighting is what you get with this affordable and reliable lighting system for all photography and videography beginners and professionals alike. With no speed rings involved, setting up this lighting gear couldn’t be easier. 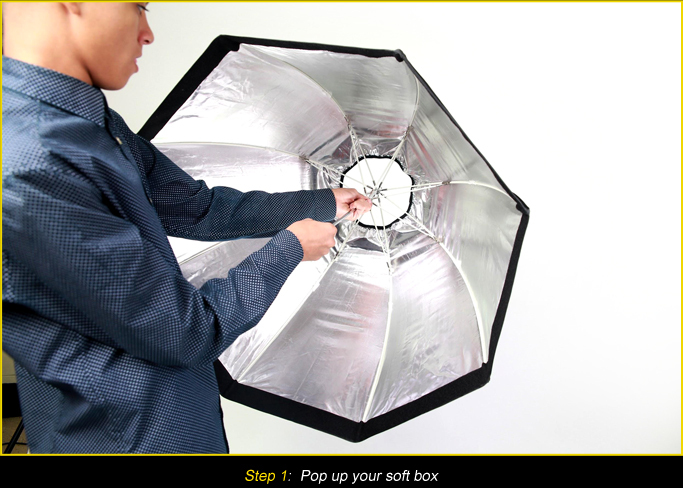 Simply pop up your box, screw into light, pull fabric over the base, and dial in your light level. 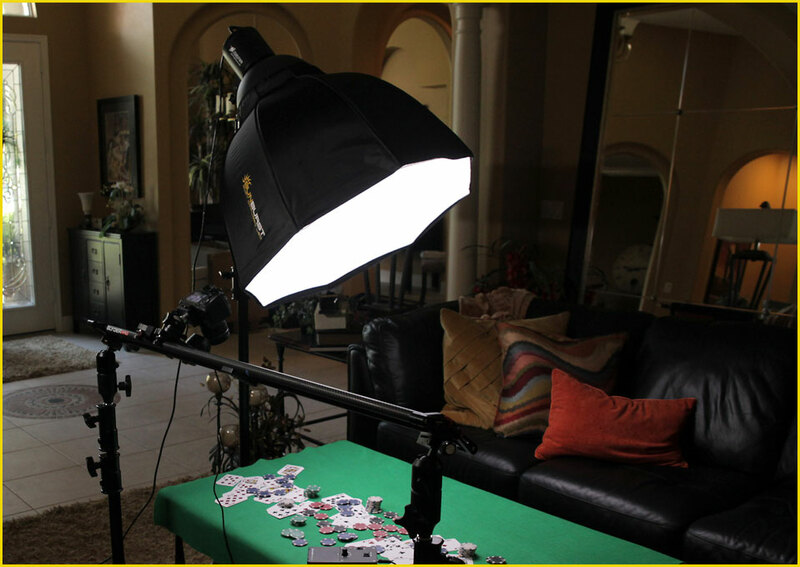 Now you’re ready for your shoot. 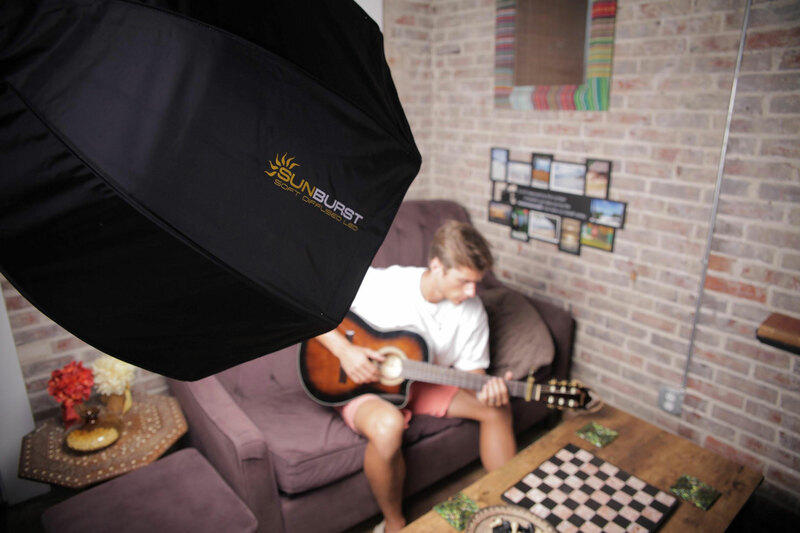 The SunBurst Soft Box can help get the right lighting for any scene. Here is a single source scene showing the different looks that can be achieved by simply adjusting the level of this LED Light via the rotary dial. 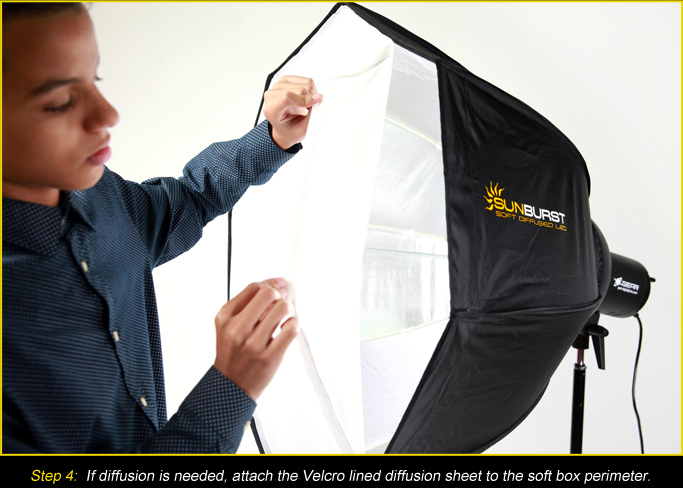 The included diffusion panel was attached. 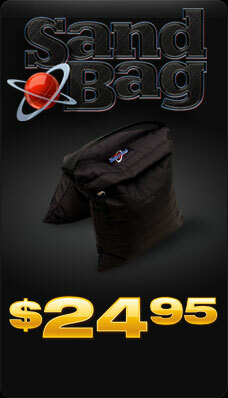 Carry Bag Dimensions: 13" x 13" x 13"
Which speedring will this accept? This is a self-contained system. 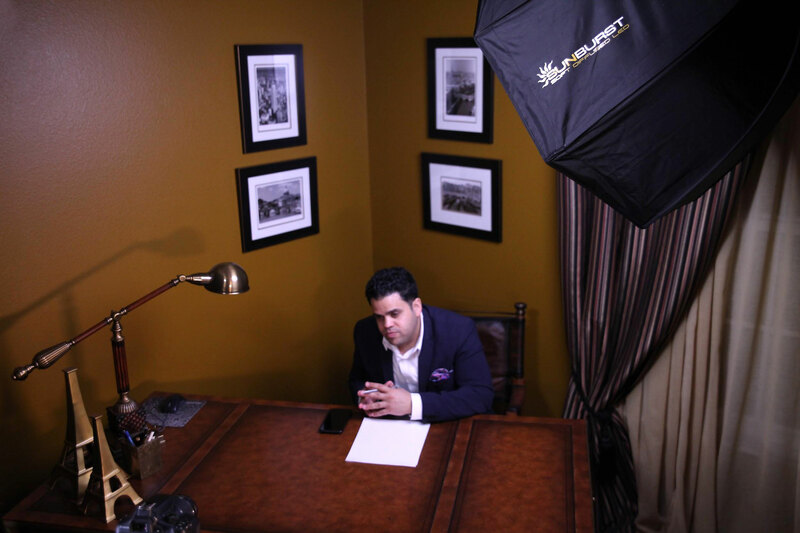 No lights or rings are needed. 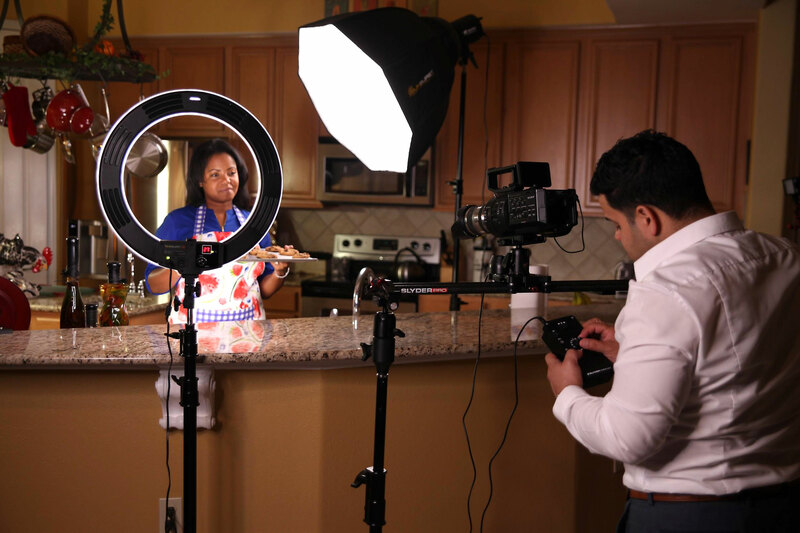 Everything you need is provided in the kit. 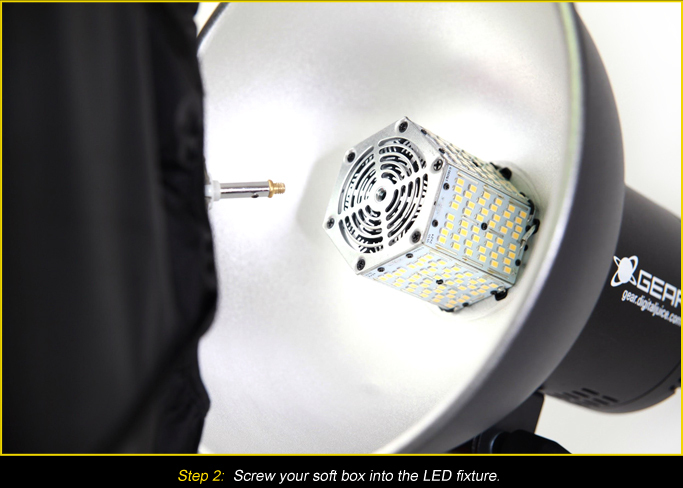 How many hours will the bulb last? 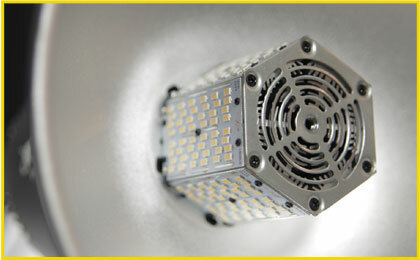 Since the bulb consists of multiple LED elements, many, many hundreds of hours. Can I use this as a key light in my 3 light setup? Absolutely. Since the light is easily dialed in using the rotary dial, you can quickly find the proper intensity somewhere between 1 and 100. 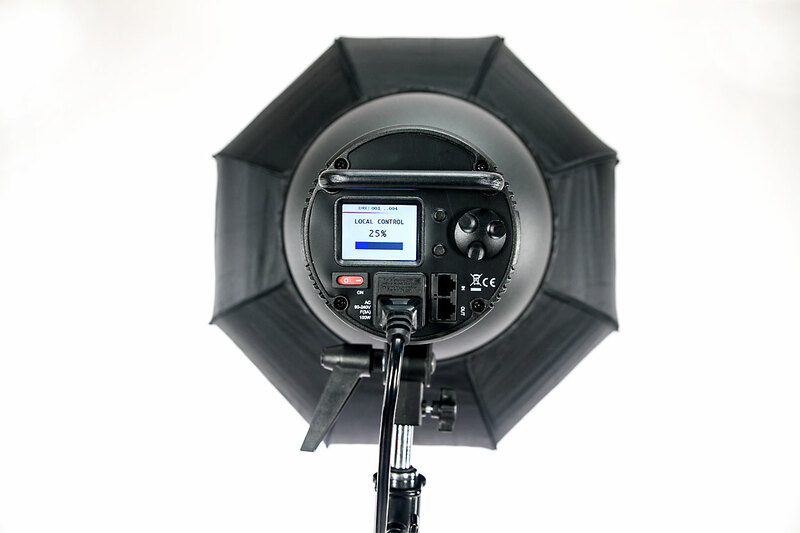 When would I ever need to use it without the diffusion? There will be many times you'll want to use the unit as a direct and harder light source, such as imitating a noonday sun or creating harsh shadows on your subjects during horror scenes. 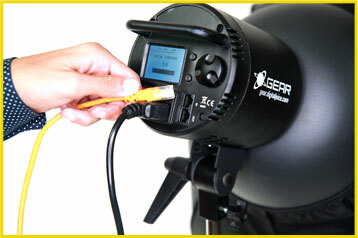 If need be, can I place more than one on a 20amp circuit? 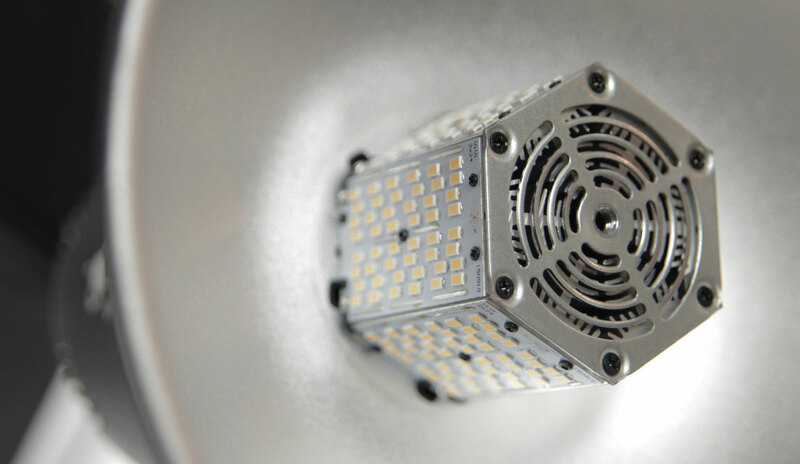 Due to the efficient and cool running nature of LED lighting, a standard 15 or 20 amp home circuit can handle multiple lights without tripping a breaker. Why is there an ethernet port on the back? 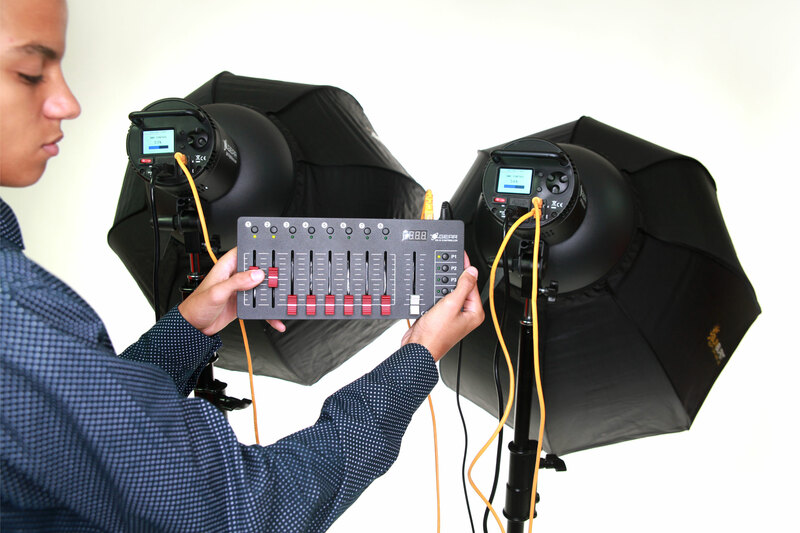 One nice feature of the light is that, using the optional Digital Juice 8 port controller, you can daisy chain and control up to 8 lights independently. 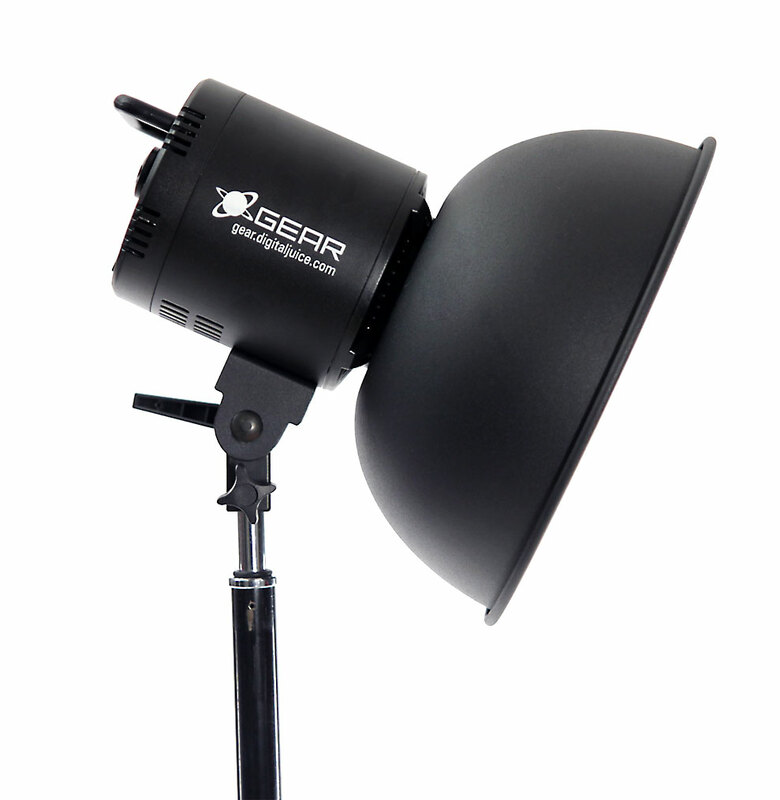 Perfect for repeatable field or studio setups. Extremely High Color Reproduction Index Means that "what you see is what you get." 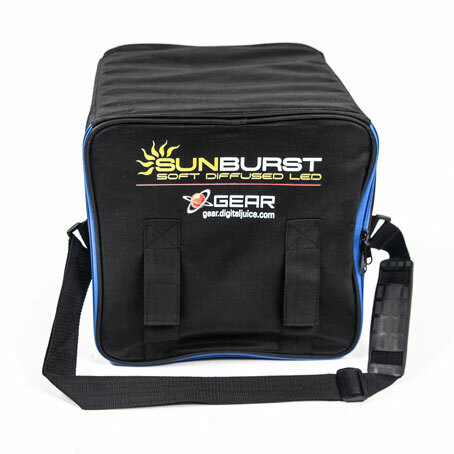 Carry Bag Dimensions 13" x 13" x 13"